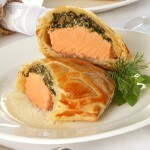 Fresh boneless fillet of salmon with sautéed spinach & garlic encased in puff pastry and served with fresh Dill Sauce. Fresh Tilapia or Salmon with a light Dijon rub and then crusted in pistachios, sautéed and drizzled with a tamarind sauce. 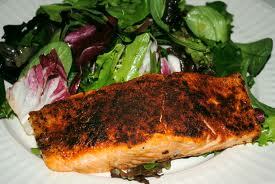 Fresh salmon coated with our homemade Cajun rub, blackened in a hot skillet and served with our Orange – Cajun Marmalade. 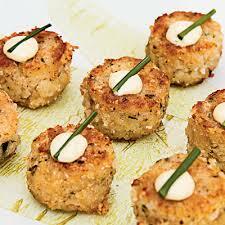 Our homemade blend of ground fish and spices crusted in panko, then sautéed and served with classic cocktail sauce. Our homemade blend of ground fish and spices formed into balls and poached in our homemade traditional Moroccan Sauce. 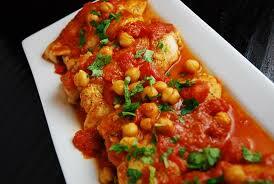 Fresh Grouper fillet seasoned with spices and poached in our homemade traditional Moroccan Sauce. 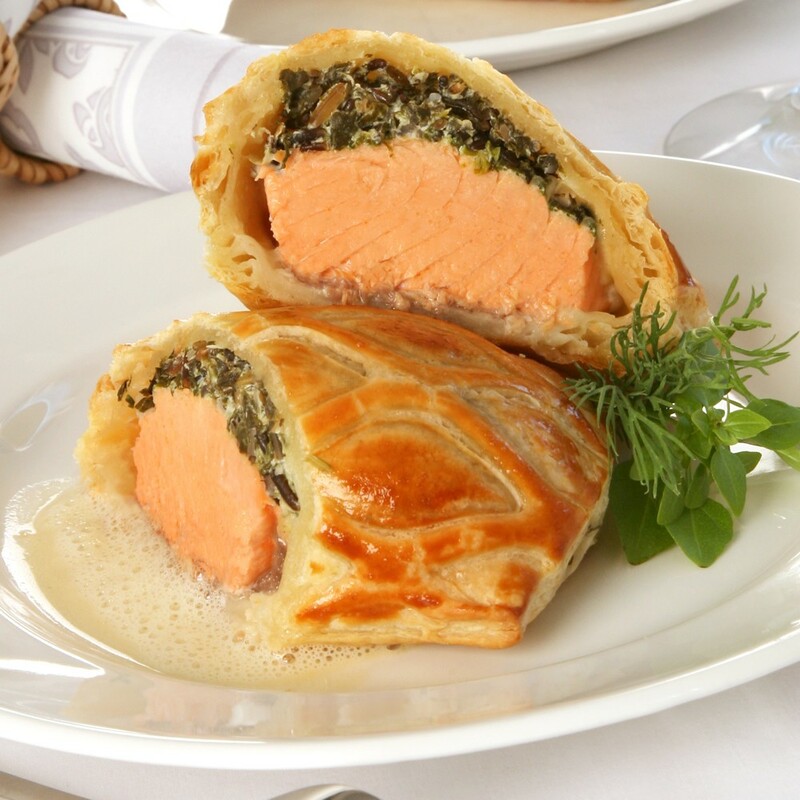 Fresh Salmon Fillet seasoned with spices and poached in our homemade traditional Moroccan Sauce.